The Wits men’s basketball team came through with a victory keeping their second-place position on the log. 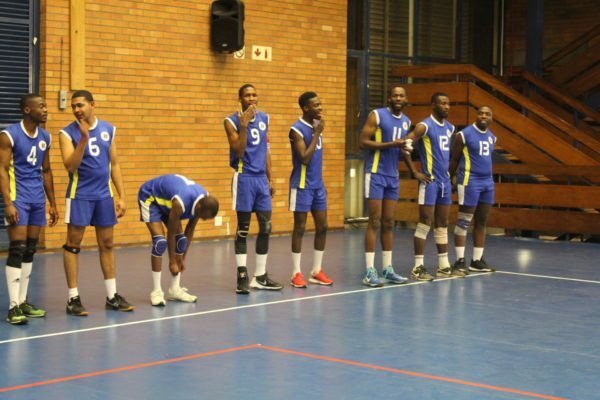 The Wits men’s volleyball team showed perseverance in their 3-2 win against Quantum Volleyball Club at Wits University on Monday, August 13. Wits ploughed through the Quantum defense in the first set adding to the scoring early on in the match. Quantum rallied quickly levelling the score in the 7th minute of the first set. The first set was a close call with Wits losing by just 3 points. In the second set, Wits pushed through and put up a strong defense, managing to equalise with Quantum during the first half of the game. They quickly led in points but Quantum came back just as quickly and equalised the score. The set came down to the wire once again but Wits took it 25-23. They followed with the third set win of 25-21. Quantum managed to pull one back in the fourth taking it 15-25. Wits secured their match victory with their fifth set win. Munya said that although the games were played with good spirit, the team needed to improve on finishing the game without a struggle. The team remains second on the Johannesburg Volleyball Union league log. Their next game is against the Vikings Volleyball Club on Monday, August 27.